I have several mothers. It's a bit complicated for me. Especially as they really don't like each other. There's even one who's going to die. Maybe it's a little bit my fault... Maybe everything happened because of me. Because I can't remember which one is the real one. Malone, a child of four, starts to claim that his mother isn't his real mother. It seems impossible. His mother has birth certificates, photos of him as a child and even the pediatrician confirms this is her child. The school psychologist is the only one who believes him and he's in a race against time to find out the truth . . . 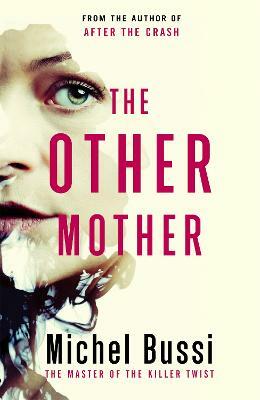 THE WRONG MOTHER is a blistering new novel full of twists and turns from the bestselling author of AFTER THE CRASH. Michel Bussi is the author of the bestsellers AFTER THE CRASH and BLACK WATER LILIES, both of which were Waterstones Thriller of the Month. In France, where he has published ten novels, he is the second bestselling author overall, with over a million novels sold in 2016 alone, and he has won over sixteen literary awards. When not writing fiction, he is a Professor of Geography at the University of Rouen.